ANAHEIM, Calif. (May 17, 2018) – Halloween Time at the Disneyland Resort returns for more spook-tacular days than ever this year, enchanting guests of all ages with frightfully fun experiences themed especially for the season, from Sept. 7 through October 31, 2018. Eerie encounters and fiendish fun await guests at both Disneyland Park and Disney California Adventure Park as favorite experiences are transformed into dreadful delights. With seasonal attraction overlays, Halloween-themed décor and food and beverage offerings, plus encounters with dastardly Disney villains, happy haunts will materialize around every corner. Additionally, the guest-favorite Mickey’s Halloween Party will return with 15 nights of after-hours fun. This separate-ticket event features some exclusive entertainment, Disney characters in their Halloween attire, trick or treating at locations throughout Disneyland Park and a chance for the entire family to visit the parks in costumes. 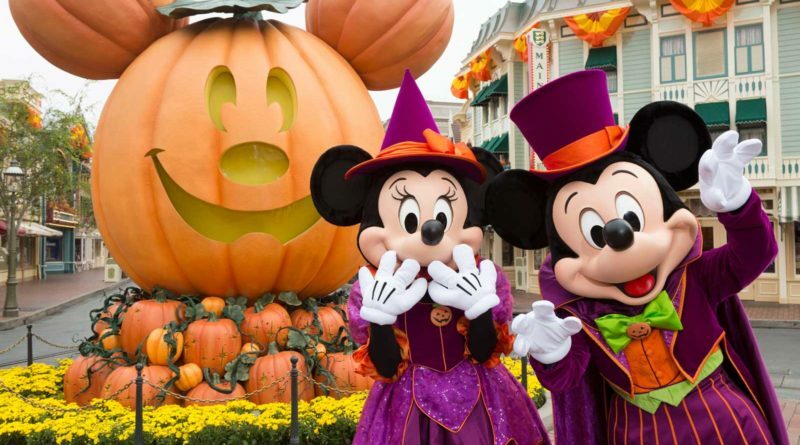 Tickets for Mickey’s Halloween Party go on sale Tuesday, June 5, 2018, for Annual Passholders, Disney Vacation Club members and Disney Visa Card holders. Tickets go on sale Tuesday, June 12, 2018, for the general public. They may be purchased online at Disneyland.com/party as well as at the Disneyland Resort main gate and by phone at 714-781-4400. A spell will be cast as guests enter Disney California Adventure. Oogie Boogie takes over with his twisted tale of a forever Halloween, inspired by “Tim Burton’s The Nightmare Before Christmas.” Oogie Boogie’s oversized silhouette will beckon guests through the main entrance of the park, and hover over a swarm of bats that circle around Carthay Circle Restaurant and Lounge. Halloween décor extends along Buena Vista Street to Carthay Circle, where guests will encounter a 10-foot-tall statue of the Headless Horseman holding his jack-o-lantern head to the sky. 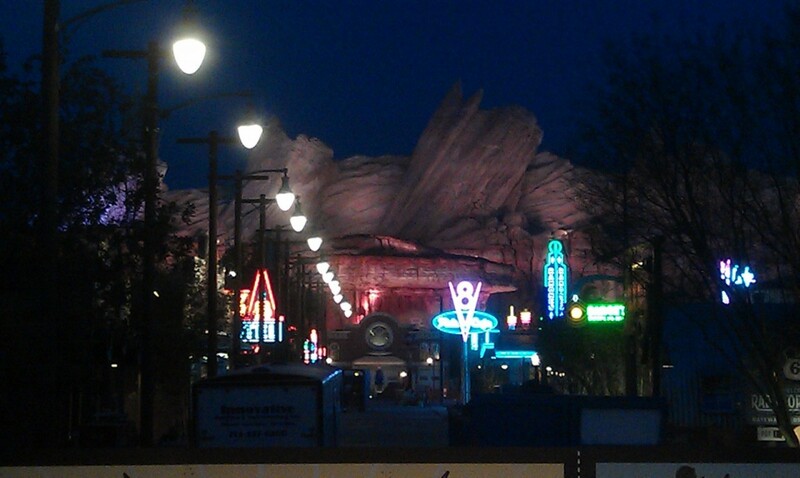 The citizens of Cars Land will celebrate Halloween by turning Radiator Springs into Radiator Screams. The entire land will be transformed with a special Haul-O-Ween makeover as the townsfolk of Radiator Springs don Halloween costumes and decorate their respective homes for the season. Guests will encounter Lightning McQueen, Mater, Cruz, Red and DJ in “car-stume” as they get ready to go “trunk-or-treating.” Popular Cars Land attractions will transform as well: Mater’s Junkyard Jamboree takes on a spooky tone as Mater’s Graveyard JamBOOree, and Luigi’s Rollickin’ Roadsters gets a seasonal twist to become Luigi’s Honkin’ Haul-O-Ween. Guardians of the Galaxy – Mission: BREAKOUT! will transform nightly into Guardians of the Galaxy – Monsters After Dark, bringing Halloween adventure to this popular attraction. 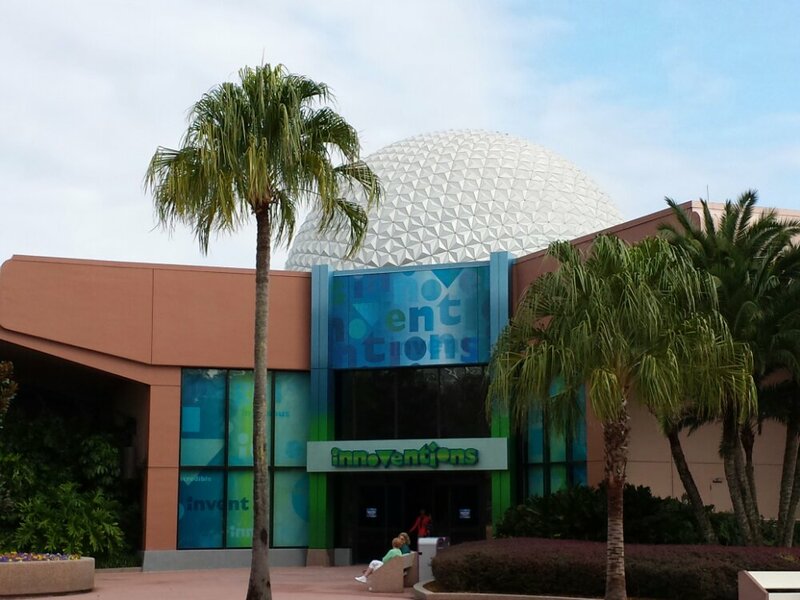 As the sun sets, the attraction’s exterior goes dark and then suddenly powers back up with lighting effects, a signal that something has gone awry. The Guardians have successfully escaped The Collector’s Fortress, but have accidentally left Groot behind. Guests will help Rocket distract the creatures that have been released so he can find and rescue Groot in this exciting seasonal overlay. The Halloween magic continues at Disneyland, where guests will enjoy beautiful décor on Main Street, U.S.A., including a giant Mickey Mouse jack-o’-lantern and a Pumpkin Festival. In Frontierland, guests will encounter the colorful Día de los Muertos tribute, an exhibit that commemorates the Mexican holiday of Day of the Dead with a musical trio of iconic skeleton figurines, brightly colored flowers and other decorative items. Two popular attractions will transform into their annual Halloween themes, delivering Halloween thrills for guests who dare to take a ride. Haunted Mansion will become Haunted Mansion Holiday, inspired by the Walt Disney Pictures classic “Tim Burton’s The Nightmare Before Christmas.” The seasonal attraction celebrates the collision between Halloween and Christmas as Jack Skellington offers his unique take on the holidays. Space Mountain in Tomorrowland will become Space Mountain Ghost Galaxy, a reimagining of the popular attraction. Guests on board the speeding Space Mountain vehicles are thrust into a ghostly galaxy where they are surrounded by eerie screams, sound effects and music. Spine-chilling spirits pop out of the darkness, appearing to reach out and menace the space travelers. This year, more nights are available for guests to enjoy Mickey’s Halloween Party. At this after-hours, separate-ticket event, guests may dress in costume and have the opportunity to trick-or-treat throughout Disneyland Park for candy and healthy goodies. Mickey’s Halloween Party also includes special entertainment, classic attractions and the added bonus of unlimited Disney PhotoPass downloads of the night**, making it easier than ever to capture memories during the party. Also exclusive to Mickey’s Halloween Party is the “Frightfully Fun Parade” led by The Headless Horseman of Sleepy Hollow (from the Disney animated classic, “The Adventures of Ichabod and Mr. Toad”). The Horseman rides down Main Street, U.S.A., on his ghostly black steed with a flickering jack-o’-lantern to usher in the parade, which features Jack Skellington and a procession of grim, grinning (and hitchhiking) ghosts from the iconic Haunted Mansion attraction. Guests attending Mickey’s Halloween Party may also visit Villains Square for a chance to encounter and take photos with Disney villains. Additional Disney characters donned in Halloween attire can also be found throughout the park. As an added value, guests with a Mickey’s Halloween Party ticket will have the opportunity to “mix in” with regular park guests for three hours prior to the party’s start time. These guests also will be able to visit both Disneyland and Disney California Adventure parks with their tickets. Beginning June 5 for Annual Passholders, Disney Vacation Club members and Disney Visa Card holders and June 12 for the general public, Mickey’s Halloween Party tickets may be purchased online and on mobile devices at Disneyland.com/party as well as at the Disneyland Resort main gate and by phone at 714-781-4400. Guests may check for availability for the 15 nights: Wednesday, Sept. 19; Friday, Sept. 21; Monday, Sept. 24, Wednesday, Sept. 26; Friday, Sept. 28; Tuesday, Oct. 2; Friday, Oct. 5; Tuesday, Oct. 9; Friday, Oct. 12; Tuesday, Oct. 16; Friday, Oct. 19; Tuesday, Oct. 23; Friday, Oct. 26; Monday, Oct. 29; and Wednesday, Oct. 31, Halloween night. Online and mobile purchases are not available the day of the event. Parking is not included in the ticket price, and parking fees will apply. Mickey’s Halloween Party is a non-smoking event. A look down Route 66.. best my cell phone will do. Pictures from the SLR in a full update on the site tomorrow.